The biggest show in NYC tonight isn’t a Broadway musical. 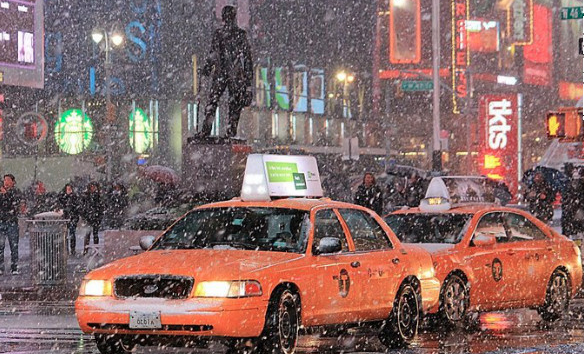 Here, Times Square in a snow storm. The biggest show in NYC tonight isn’t a Broadway musical, it’s the winter storm Juno that’s closed down The Great White Way by covering it in a grea white blanket of snow. Rarely does weather close all 40 Broadway houses, plus delay the Metropolitan Opera’s premiere of a new production, but no cars, buses and trains in and out of town after 8 p.m. is a real audience problem. Fortunately, most Broadway houses are dark Mondays, but it’s not looking good for Tuesday as officials are calling the storm “historic” and only emergency vehicles are allowed on the roads until further notice, Mayor DiBlasio has stated. For more info on road and transit bans, click here. There’s good news. Even great news. Serious plays can make money on Broadway. “The Curious Incident of the Dog in the Night-Time” made back its $4.75 million capitalization, its producers announced today (Jan. 26, 2014). Mark Haddon’s popular novel about a British teenager with autism was adapted for the stage by Simon Stephens, directed by Tony Award winner Marianne Elliott (“War Horse”) and created at London’s National Theater. Typically only about 25 percent of Broadway shows ever turn a profit, according to the NYTimes. For more info, click here. So far, it’s got a Broadway record-breaking $13.5 million advance in ticket sales. Performances don’t even start until Feb. 2. Read more here. Top ticket prices around $400 — so-called premium seating — help that figure and are kinda starting to bug me big time. Producers argue if there are people rich and willing to pay $1,600 for a family of four to see certain shows, why shouldn’t they take their money? 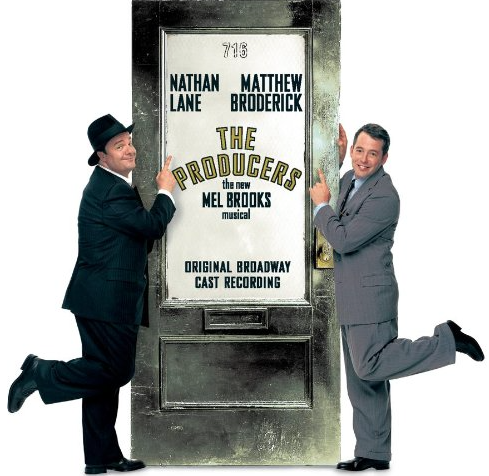 Ironic, isn’t it, that this practice started with “The Producers” starring Nathan Lane and Matthew Broderick in 2001. At least when Hugh Jackman is on Broadway he makes sure his contract calls for a certain number of cheap seats be set aside for students. But how do you support your theater habit once you graduate and have a family if you aren’t a member of the one-percenters? Sports events have been doing this for years. Then music concerts jumped on board. Theater, once was a communal event enjoyed by the rich and poor alike, now looks like it’s becoming a once-a-year special-event treat for moderate income folks. The gap is getting bigger and bigger. And that’s not a good thing. Better hope schools and churches don’t start charging premium prices to close their budget gaps. What do you think about the increase in the cost of a Broadway ticket, and how has it effected your theater-going habits? Click here for a Time magazine story on the issue. Click here for an Atlantic article on the issue.